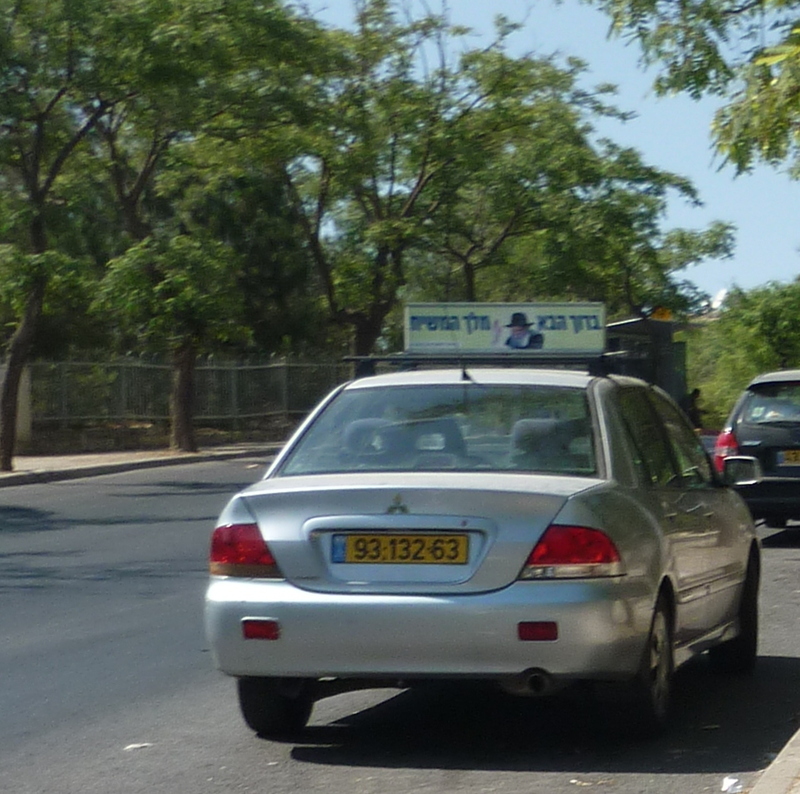 This banner on the car says “Baruch ha ba melech moshiach” in English: Welcome to king of the messiah. Actually I do get Arab children coming up my street on a donkey sometimes. Talking of the Mount of Olives, further up this street is a park you can stand and see across Jerusalem. This Google Streetmap below shows the Mount of Olives, you can see by the ‘whiter’ area of the hill, as it contains thousands of graves. * My mistake, this is actually a Mitsubishi Lancer. Baruch Ha Ba Melech Moshiach — yes, blessed be the King Messiah. The real one. He’ll set his feet on the Mount there, and when he does, I believe even the Schneerson Lubavitchers will bow.